Why are some countries less corrupt and better governed than others? 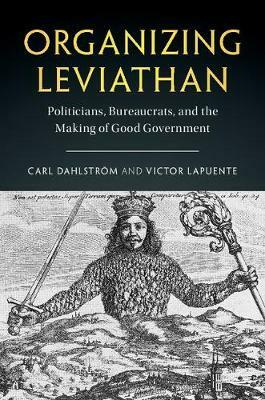 Challenging conventional explanations on the remarkable differences in quality of government worldwide, this book argues that the organization of bureaucracy is an often overlooked but critical factor. Countries where merit-recruited employees occupy public bureaucracies perform better than those where public employees owe their post to political connections. The book provides a coherent theory of why, and ample evidence showing that meritocratic bureaucracies are conducive to lower levels of corruption, higher government effectiveness, and more flexibility to adopt modernizing reforms. Data comes from both a novel dataset on the bureaucratic structures of over 100 countries as well as from narratives of particular countries, with a special focus on the relationship between politicians and bureaucrats in Spain and Sweden. A notable contribution to the literature in comparative politics and public policy on good governance, and to corruption studies more widely.